Each month celebrates and promotes something. In April one of the somethings is Letter Writing. 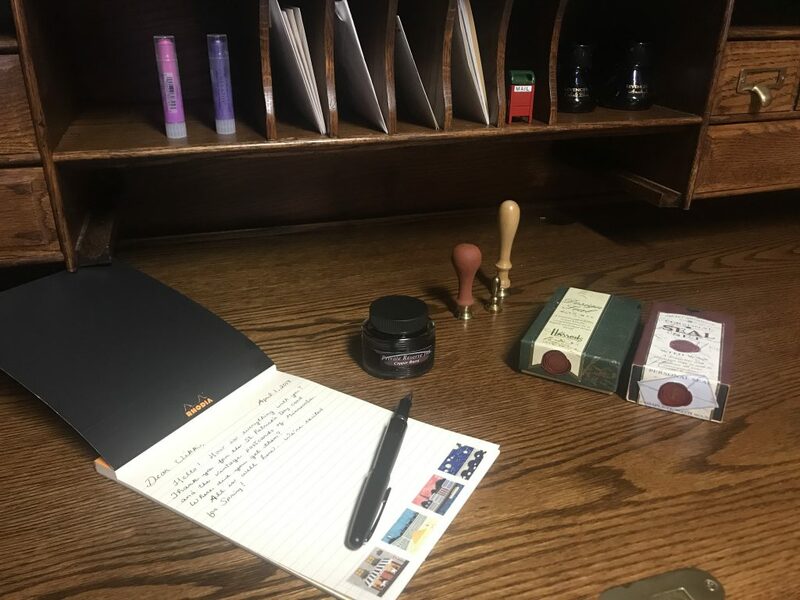 Unlike InCoWriMo in February where you’re encouraged to send a piece a mail each day, the more leisurely letter-writing month of April allows you to go at your own pace. Truth be told, I don’t need a celebration or holiday to write a letter, but it’s nice to have the comradery posting along with others who are participating. When I’m in full letter writing mode, I get out one of my fountain pens, bottled ink and wax seals. One of my favorite writing papers is this super smooth Rhodia N 16. It’s described as ivory, high-grade vellum paper, but is not the clear paper you’d expect when the description says ‘vellum’. It’s just smooth, 41-lb paper. The postage stamp washi is from Someday Someplace on Etsy. I filled the Pilot fountain pen with Private Reserve’s Copper Burst ink that I’ve had for awhile and is still one of my favorites. 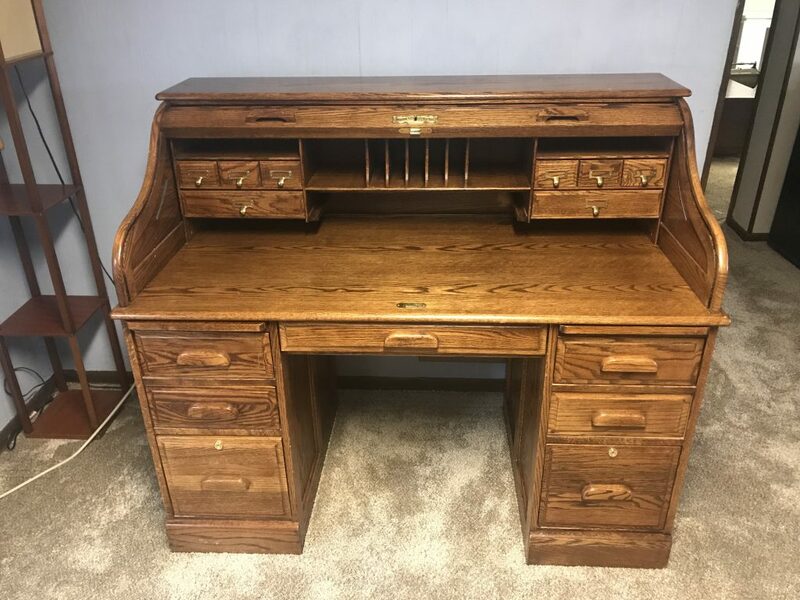 The roll top desk is new to me which I recently purchased at a local consignment store. I’ve always wanted one and have been on the lookout for just the right one which has lots of drawers and cubbies, is made of solid oak, and is in good shape. For $225, I think this one is fantastic! I’m still moving things around and filling the drawers and cubbies trying to find just the right mix of what needs to go where. You can’t see it, but I have my computer sitting on another desk which sits across from this one. My swivel chair sits between both desks. I want to save the roll top for more analog type of communication (letters, journals, zine-making – you get the idea). Can you blame me? Ok, time to go finish this letter and start another. Congratulations on the great find. I have a small roll top myself and love it. Enjoy your April writing!